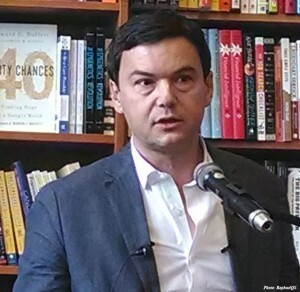 If there was ever an unlikely ally in the fight for the unborn, it would be Thomas Piketty. Piketty is a French economist and bestselling author, who is notoriously liberal. Inside his massive 700-page book, Capital in the Twenty-First Century, he holds just about every liberal position imaginable. His strong secular outlook avoids the sticky issues of morals and religion like the plague. Piketty’s big topic is his war on inequality. His target is accumulated wealth and inheritance. He also hates rents and any other form of capital wealth that can accumulate over time. His central thesis is that the gap between rich and poor is getting ever wider. To close this gap, he calls for income taxes as high as 80 percent, global taxes on capital and inheritance taxes. In his broadside attack on inequality, he inadvertently mentions another way in which the wealth gap might be closed besides punitive taxes. This way equitably and voluntarily distributes wealth and promotes the general welfare of the community. 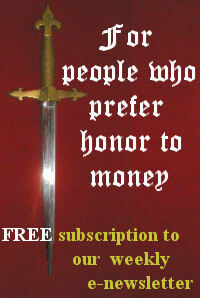 It does not tax or take money from those who have more, nor does it require huge amounts of money to implement. Unfortunately, Piketty’s “pro-life” position ends here. He acknowledges that “childbearing behavior” could change and people might have more children in the future. However, he deems it highly unlikely or even desirable since such a change would threaten his secular and individualist worldview. For him, it is much easier to simply impose progressive taxes upon wealth and let the government redistribute it. For all his learning, he fails to understand that the family is a natural God-given source of wealth distribution that keeps economy and society in balance. Trying to circumvent nature with “redistribution” schemes only makes the problem worse as the testimony of history has shown. Yet one more reason to be truly pro-life. 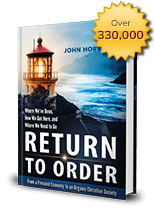 This entry was posted in Featured and tagged America, frenetic intemperance, Return to Order, tradition by John Horvat II. Bookmark the permalink.